What what?! 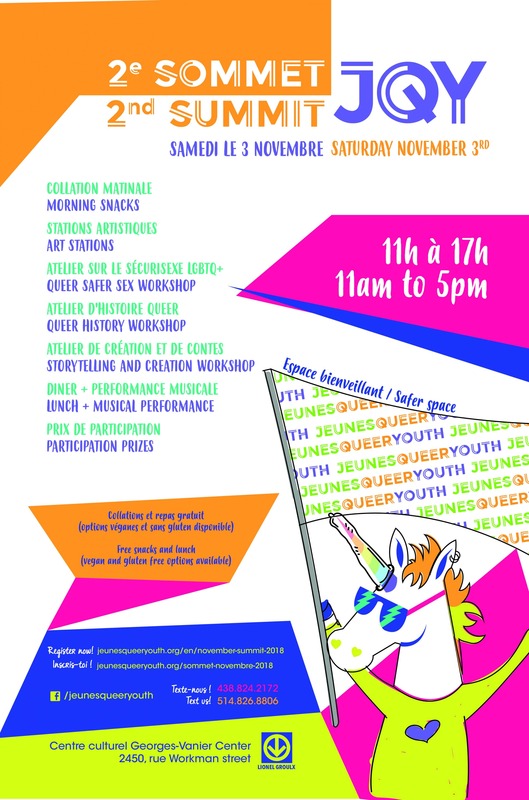 – Jeunes Queer Youth’s Second Leadership Summit, November 2018 edition! It’s that time of year! Jeunes Queer Youth is holding it’s second leadership summit and YOU’RE invited! STM tickets can be provided at the summit to reimburse your travel. Feel free to ask for them at the registration table when you arrive! All information that you provide will remain confidential.